FREE ENTREE/S are to be of equal or lesser amount of the purchased items. Applicable with minimum group of 5 or 10 guests dining in. Entree selected from the Dinner Menu only. Valid from 11am to 10pm, Monday to Sunday (inclusive of public holidays at Setia City Mall, Citta Mall & Vivacity Megamall / Not inclusive of public holidays at Mahkota Parade). 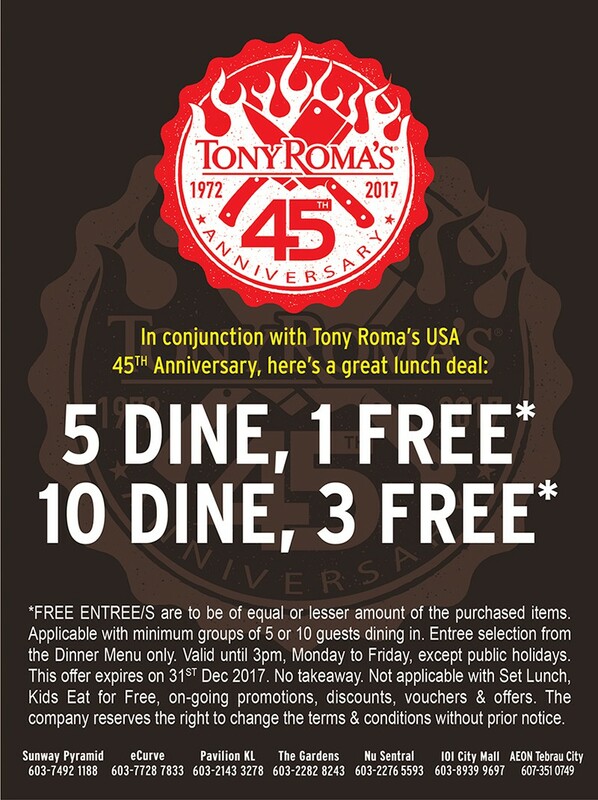 This offer expires on 31st December 2017. 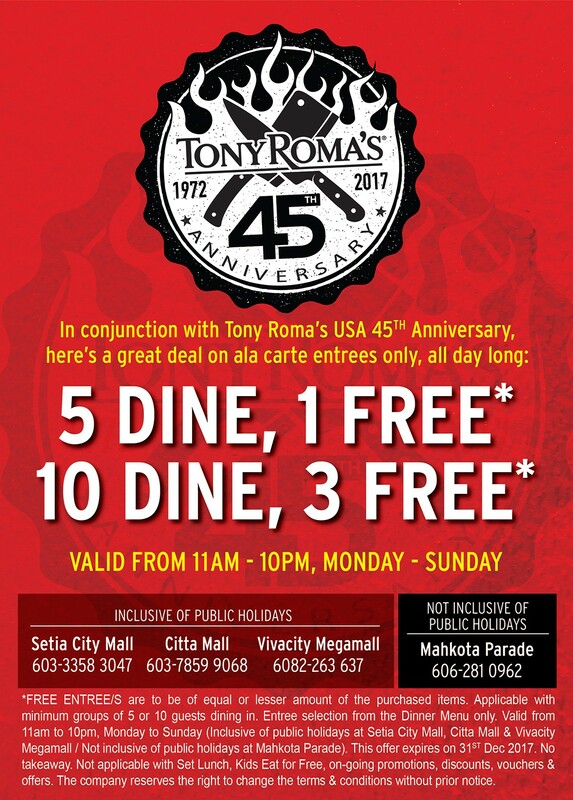 Not applicable with Set Lunch, Kids Eat for Free, on-going promotions, discounts, vouchers & offers. The company reserves the right to change the terms & conditions without prior notice.